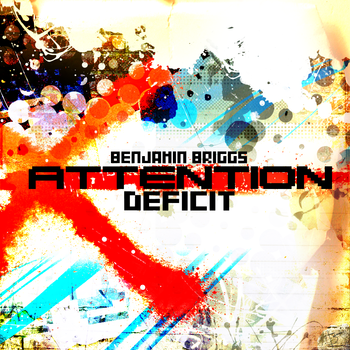 Benjamin Briggs is super electronic and he proves that in his latest EP Attention Deficit. Hailing from Danville, Illinois, Benjamin is the complete package from composition, arrangement, mixing/mastering, and remixing this independent artist holds the record for extreme versatility. Too Soon approaches with a steady club vibe. Electronic tunes with some melodic video game remixes will give you a steady psychedelic high. Following with sporadic beats and melodic twists,Benji Needs a Lawyer is a slower dance track. I personally like how each element is introduced one by one that in the end, you get a plethora of instrumentation in one musical piece. Experimenting on pure video game sounds, Troll 4 Life traverses in between a fun and club dance aesthetic. Love The Game, on the other hand, has a deep and edgy mood splashed with some glowing harmonies. I’m Nobody (feat. Cornelius Rawness) seals up the album with some positive vibes. Upbeat and jumpy harmonies perfectly blend with well-delivered vocals. All in all, Attention Deficit EP is something you’d want to play to shoo those gloomy days away. Benjamin Briggs has successfully produced a collection that showcase his brand and entertain a wide variety of listeners.